GrandDent is professional dental clinic based in Chiangmai, Thailand. We are specialized in all fields of dental practice with international standard. Contact us to get top-notch service for your dental concerns. GrandDent Dental Clinicis multi-specialty dental offices. We are located 5 minute from Chiang Mai international airport. 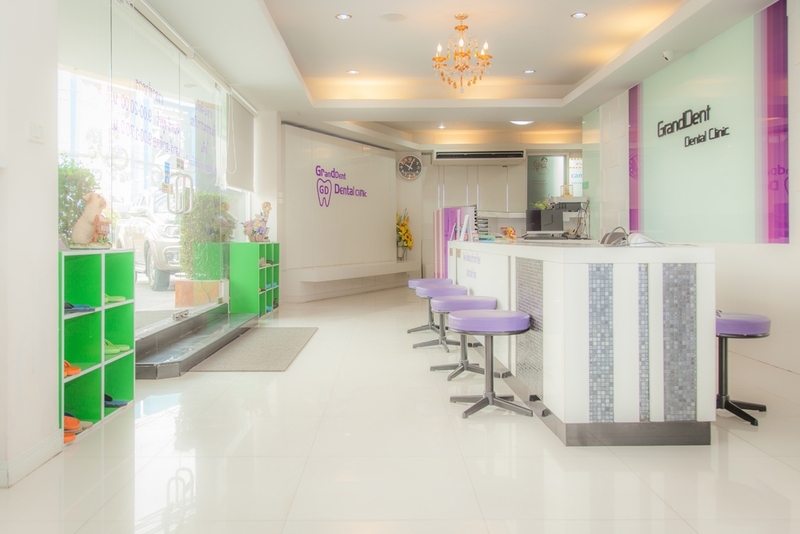 We warmly welcome to our clean and friendly atmosphere at GrandDent Dental Clinic. We provide standard dental care with the international standard and modern dental treatments by experienced dentists in Chiang Mai. At GrandDent Dental Clinic, we take great pride in providing you the highest quality dental care. From the moment you walk in, the fresh flowers immediately make you feel welcome. We strive to do everything possible to make you feel comfortable and at home while we provide healthy smiles for your entire family. We also strongly beleive in co-diagnosis philosophy, meaning that, you and your dentist decide the best treatment options to proceed. Alternative choices, pros and cons, prognosis and fees are thoroughly discussed to ensure your understanding and satisfaction.